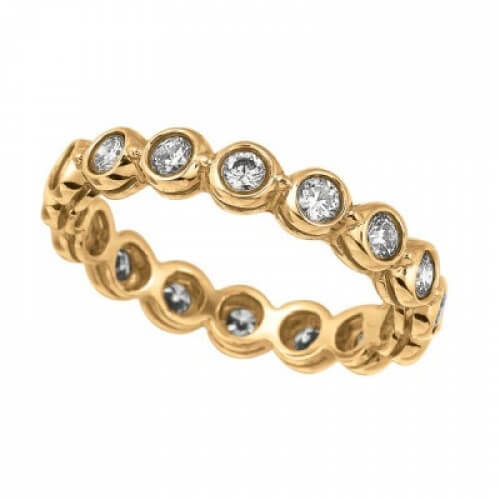 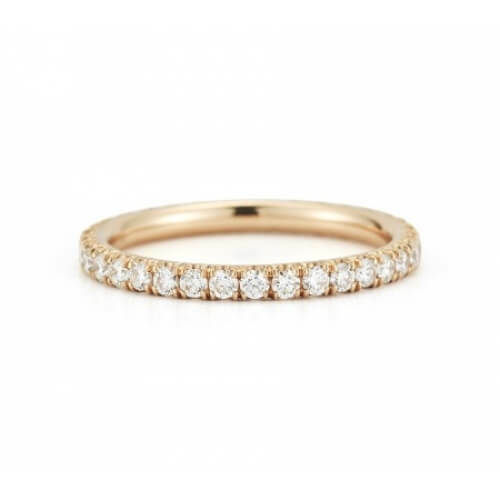 Diamond, band style rings, offer a timeless design. 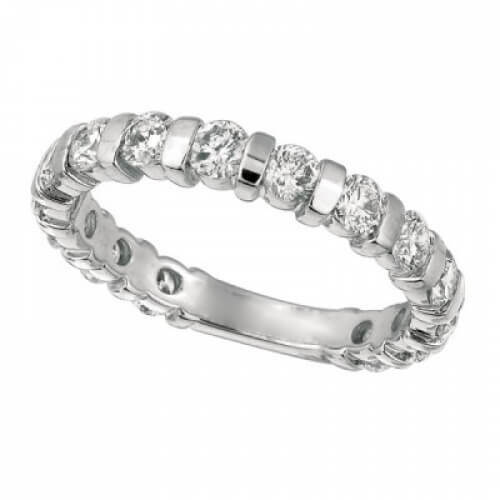 A trendy take on that classic look is this 14-karat White Gold band with 1.51CTW of bar set diamonds. 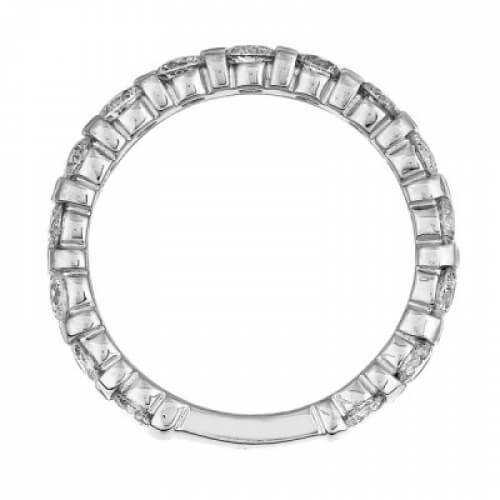 The 15 round cut diamonds encompass nearly the entire band, leaving enough solid 14K White Gold to enable this ring to be sized to fit any finger. 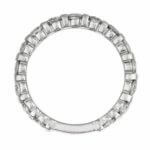 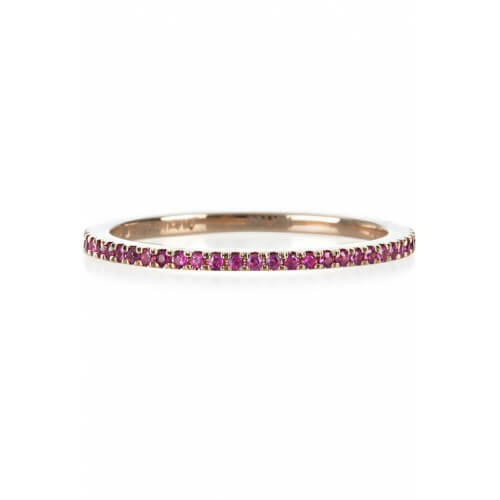 The 3mm width of this band gives it the versatility of being part of a Wedding Set or a standalone Anniversary Ring.